OpenText™ | Web Site Management Database Encryption with Web Site Management 16 and Microsoft SQL Server - Open Text Web Solutions Usergroup e.V. 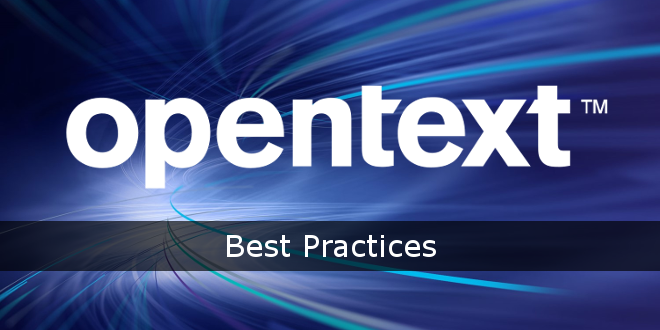 OpenText™ Web Site Management™ is a web content management system to build, run, integrate, deliver, and maintain Internet sites, intranets, and extranets. With Web Site Management, you can manage structured and unstructured content for other content consumers or channels. OpenText™ Web Site Management uses MS SQL Server or Oracle databases. This paper describes how to use the encryption features of MS SQL Server databases for Web Site Management. OpenText™ Web Site Management supports two main techniques of securing MS SQL Server databases: Encrypted Connections and Transparent Data Encryption (TDE). With encrypted connections to the Database Engine, the communication between Web Site Management and SQL Server uses SSL encryption, known as encrypting data in transit. The way of storing the information on the database server is not affected. Transparent Data Encryption offers encryption at file level. The SQL Server data files get encrypted, known as encrypting data at rest. Both techniques can be used simultaneously.